Happy Matcha (ハッピー抹茶) is a passionate start up situated in Perth, Australia. We specialise in organic Japanese matcha green tea sourced from Uji, Kyoto, Japan. Our matcha has gone through rigorous tests and has been selected due to its superior quality in taste, the heritage of the farm it came from and the values of the farmers that grew it. Happy Matcha (ハッピー抹茶) was founded by a group of geeks that love matcha green tea as much as they love anime. Due to the lack of quality organic matcha in Australia coupled with bad experiences with existing matcha providers, we decided to source our own. Through months of research on what goes into quality matcha as well as the history behind Tea Ceremonies (茶道), a suitable quality organic matcha farm was found and a partnership established. From there, inspired by the shared love of Japanese culture, anime and matcha, Happy Matcha was born, with the goal of bringing the finest grade organic matcha to Australia at a competitive price. With the word “Happy” in our name, you can bet that we are a bunch of happy people, but that is not the reason of our brand name. Beyond bringing quality matcha into Australia, our motto is to spread happiness, one cup of green tea at a time. Taking learnings from traditional 茶道 (tea ceremony), we have found that it is about removing yourself from the day to day grind and entering serenity. Through inner peace, you can then easily attain happiness which can be spread to friends and family. No longer do you need to suffer through inferior matcha, with Happy Matcha, you deserve the very best. Check out our range of matcha green tea here. The key measure of quality matcha green tea is its colour, taste, touch and scent. The green tea leaves must be grown in a shaded field which causes each green tea leaves to over product chlorophyll and amino acids. This element is what gives quality matcha the bright vibrant emerald green colour. The taste of quality matcha has a natural sweetness with vegetative undertones and mellow umami but never bitter. It should also be ground to a fine powder, which is light and fluffy to touch and should not be coarse or lumpy. The smell should be strong but sweet and fresh in scent. Like a fine wine, quality matcha is difficult to produce and is a time consuming and laborious process. But through the labour of love, we are gifted with the finest quality matcha. Happy Matcha is sourced in the Uji (宇治市) region of Kyoto, Japan (京都,日本), with perfect weather climates, crystal clear water and fertile soil, almost like nature designed it specifically for tea growing. These perfect conditions has helped produce Tencha (点茶) leaves that are packed with nutrients with a distinct flavour not found in any other region in Japan. Harvesting is done by hand by skilled Japanese farmers, selecting only the youngest and smallest leaves for the finest quality tea. To achieve the finest possible consistency, an ultra-fine milling process of the leaves is also done by hand using granite stone mills resulting in a beautiful vibrant green powder which is the matcha you see in our products. All Happy Matcha products are JAS Certified Organic to give you peace of mind that there are no harmful chemicals used in the farming process. We import directly from Japan only in small quantities and at regular intervals. Implementing this lean process means that each order is guaranteed the freshest batch of matcha green tea, regardless of when you order. 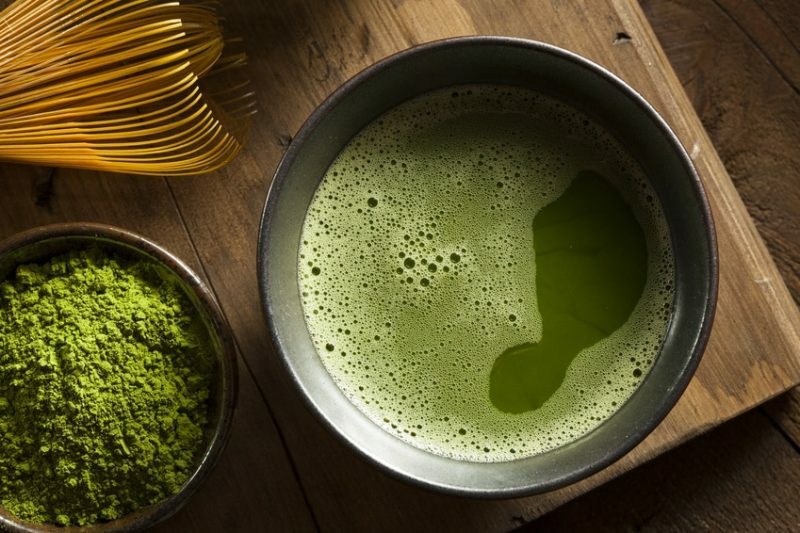 Through century old tea growing techniques, Happy Matcha has produced the crème de la crème of the green tea world. Carefully crafted with the finest quality green tea leaves providing unmatched taste and increased level of nutrients. We think Happy Matcha is the best matcha and invite you to try it, with free delivery Australia wide!